Snowblind, the group behind the amazing Baldur's Gate Dark Alliance is bringing it home with this knockout game features the awesome heroes of the DC Universe. If you have not played Baldur's Gate before, just on a side note, make sure you do, it is fantastic. This is a game that will drive fans crazy with the teaming up of the League, taking us to a series of locales that are instantly recognisable to fans of the comics and impressive nonetheless for the uninitiated. There are so many things that are likeable about this title that spring immediately to mind but one of them is that despite how easy it is to get in and play, the game takes itself fairly seriously which is a healthy way to go. 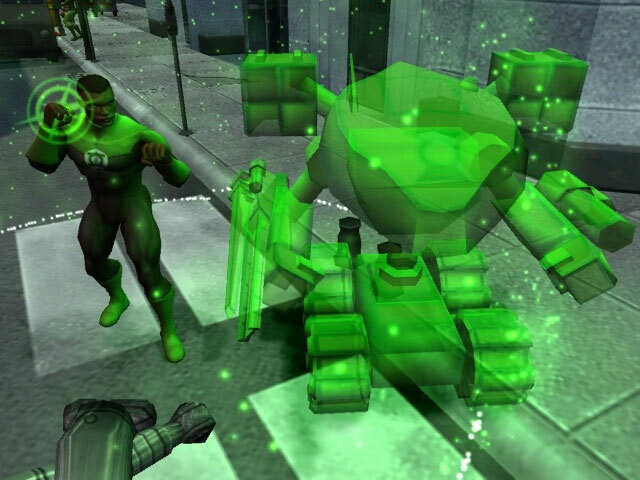 Working your way through the game which is essentially a hack and slash with super powers, the title takes you on an adventure to foil the plans of Brainiac, an old enemy of Superman's, however as you progress through the storyline, you will find twists and turns that will involve many more of the fantastic enemies in the DC Universe. As a DC fan from waaaaayyy back, I also responded well to the banter that took place between the heroes as the game played out. Despite the seriousness of the missions that you undertake, there are some funny moments through the game and the story has been well scripted by writer Dwayne McDuffie who has extensive experience writing about the DCU. Even the voice work on the title has had a great degree of attention to detail placed upon it and my favourite superhero, The Flash, has got some awesome one liners and other witticisms throughout. In the game, you play as one of the characters, with other heroes being controlled by the artificial intelligence, which actually does an impressive job of acting independently and fighting the assorted bad guys that the game throws your way. Later in the game you can choose your hero that you wish to fight the next level with and with no knowledge of what lies ahead you can expect some pretty intense fights along the way. Switching characters as you fight in pairs is pretty easy with a tap on the DPad to guide you on your way. AI aggression and other basic commands can be given through the DPad also. Sometimes your AI character may clip or get stuck on objects however this has been overcome by teleporting a hero to you if they lag too far behind. A neat feature to be sure. In terms of combat, there are a number of basic moves that carry across the whole gamut of characters, but when you do combo attacks, you unleash a whole heap of really cool moves exclusive to the character you are controlling. Some can fly by repeatedly tapping the jump button and others will perform other mid air antics before coming back to earth. The game features a save system that activates when you hit checkpoints and if you happen to die during gameplay then you will start again from the nearest checkpoint. Playing in two player mode (the game's really strong point), the title moves along really quickly and is something to be experienced with you and your buddy fighting the good fight. Graphically, Justice League Heroes is a feast for the eyes with brilliant rendering of both the characters and the environments that they are fighting in. Power ups are left by fallen foe and even though the fights are pretty challenging you should find that you can make your way through with few deaths, though it does come close on more than one occasion. This is a game that just begs to be played, it's easy to get into and stacks of fun in both single and two player mode. The title stays faithful to the comics and I think that comic fans will be delighted to play it, I sure as heck was. 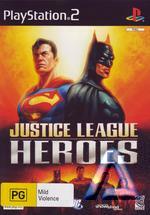 So do yourself a favour and grab a copy of Justice League Heroes for PS2, it's a blast!